Welcome Back to Season 7 Episode 10! Hey everyone, welcome back to the last episode of our season 7. On today’s show, it’s a Q&A session. I have received a few questions from our listeners. Before we get started today, I just want to take the time and thank you for your support for this past season. As you may have heard me mention on the show, I’m studying full time for a master in photography this year. So at times, my schedule is very hectic and I have a lot on my plate. So I’m very grateful for your patience and kindness and support. I also want to take the time to thank the guests this season and previous seasons as well. It’s very difficult to take time during the busy season to come on the show, so I am very grateful for them to take time out of their busy days and come on the show. I also have a couple quick announcement to make. I’ll be speaking in Rome next Saturday for the IAHSP European Conference. I’ll be speaking about photography and portfolio. I will be putting my conference speech online, and a little bit more bonus content, so just be on the look out for the newsletter announcement when that goes live. Nine top home stagers and marketing experts, including Bobbie McGrath, one of our favorite guests on the podcast, and I have collaborated and published a new book. It’s going to be available on Amazon.com on Monday, April 9th. On Monday, April 9th, you will also be able to purchase an electronic copy of the book on Amazon.com for $2.99. 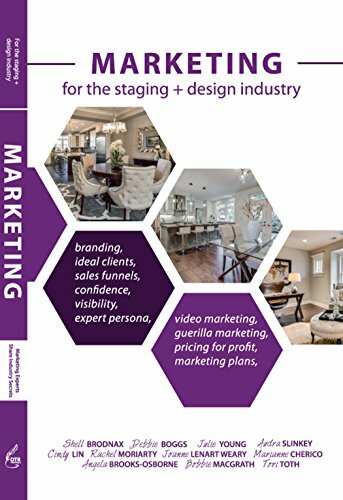 The name of the book is Marketing: for the Staging and Design Industry. For the next season, I am aiming to come back in June. If you have any suggestions on topics and guests, leave a comment on the show notes! For those of you who are interested in joining the next live, 8-week business incubator, the 6-Figure Floor Plan, our next live class will start the first week of July. We will be opening the Early Bird enrollment in June. Great question! I get asked a lot about this. I think that if you want to get into the industry, you have to be clear about what you are getting yourself into: what are the financial obligations, costs look like? What will be your services? What will be your business model? How will you make money? What does the day to day look like? What is the goal for your business? How does all of this fit into your life? Clarity is a very powerful tool. My business shifted completely once I figured out what I want out of the business and how I would like to work. As a new stager, you are in the exploration phase of your business and you are still figuring out how to establish your footing. So you will be doing all kinds of jobs. During this process, take a lot of notes and see what you can do to make the most profits that get you the most return on investment emotionally. Why I say this is that I think it’s important to do work that fulfills you and make you happy. We spend about 1/3 of our lives at work, so make it really good for you. Really figure out why you want to be in this business. Everyone says they want to be more creative, but you can be creative by doing many different things, as a hobby or as a career. So why home staging? What attracted you to this career? To understand why you want to become a home stager and knowing how you want to work will be crucial in building a successful business. If you are just in it for the money, I don’t recommend starting a home staging business. Buy an existing business or work for someone. You will make more money and less stressed that way. I think this is a very important and poignant question: why do stagers work for wages instead of profits? A lot of small business owners, myself included, had or have this obsession with revenue. But they forgot about profits. A girlfriend of mine has a million-dollar business, and what I always remember from her is that she told me when the first year she made a million dollar in revenue, she lost $86,000. That means that while her business made a million dollars that year, the business actually lost money. The business spent $86,000 more than it had earned that year. That’s when I woke up about having revenue goals, instead, I want profit goals. As a business owner, you should be focusing on making profits in the business, because making profits mean you have more money coming in than going out. That means with profits, you can invest back into the business like expanding your team, expanding your warehouse, expanding your inventory. This is a great question. I think when it comes to proposals or getting the go-ahead, a lot of people think it’s about pricing. Of course, that is a factor, but ultimately people do business with people they trust and they feel that it’s a good deal for them. I believe the key thing about client communication is that you want to set the right expectations from the get-go and then exceed that expectation, over deliver whenever you can without losing profits or breaking any of your professional policies. You also want to make it less about you and more about the clients. Focus on the client’s pain points and how to deliver on that. A lot of our experts on the show this season had talked about that as well. 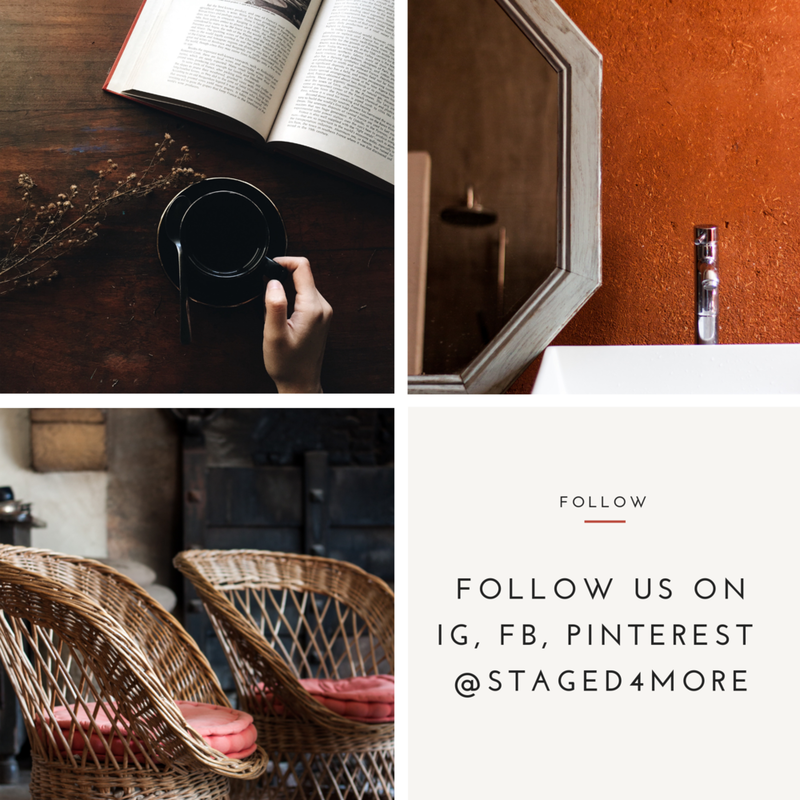 I also think that most home stagers’ marketing talk about how staged homes sell for more money in less time, every stager is going to say that, so how are you going to do thing differently to stand out in the marketplace? Focus on what the clients will get. Also, learn how to deal with client objections naturally and professionally without getting emotional over it. It’s business after all and it is human nature to ask about discounts. Clients will ask, so you will want to be prepared to have answers to those questions. Hi Danielle, I am very happy to hear that you are using staging assistant! Pam is great and super organized, so you are in great hands. And congrats on your new job as the regional manager for a staging company. For our warehouse, we put the lampshades on designated shelves by sizes small, medium and large. And below, we store the lamps sorted by sizes that would fit the particular shapes of lampshades above. In the last few years of our business, we only buy lamp shades that will fit a wide variety of lamps we have. This really cuts down time on sorting and trying to figure out what lamp shades fit with what lamps. For transport, we wrap them in plastic trash bags and put them in plastic bins to protect them during the transportation. For the warehouse organization, our warehouse has about 18 feet clearance, so we made the decision to build a mezzanine to maximize the storage. The heaviest and hardest to move items are on the ground floor, with the exception of the mattresses. Our movers use the mezzanine balcony and hand down the mattresses. On the ground floor, we have lamps, lamp shades, trees, artwork, heavy furniture like sofas, love seats, coffee table sets and sofa tables. Upstairs, we have all the soft goods, accessories, smaller pieces of furniture like side tables, faux florals, dining chairs, vases, etc.